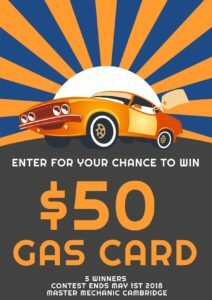 Master Mechanic Cambridge's $50 Gas Gift Card Contest! Thank you to all of our incredible customers for supporting us in the past 24 years in business. We value each of our customers and look forward to checking in with you whenever you come in for a service; not only to make sure your car is running efficiently but also to hear about the new and exciting things in your lives. 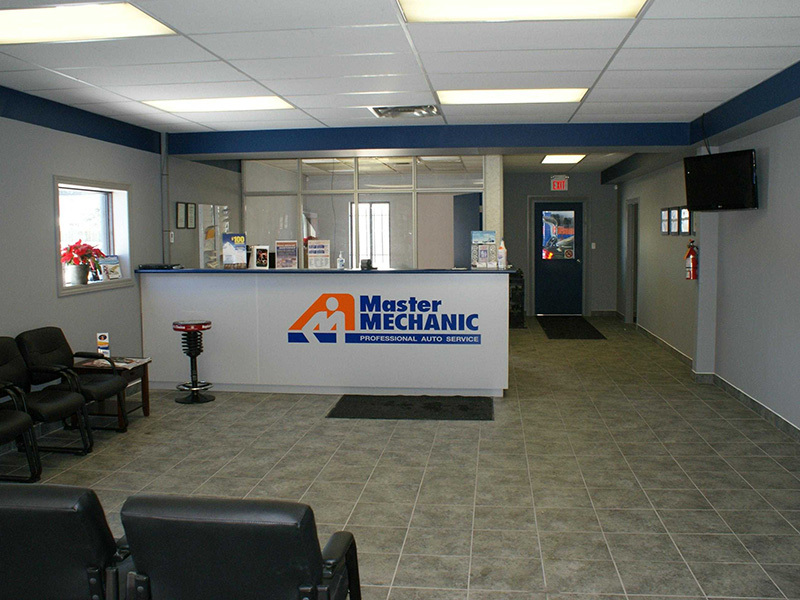 At our recent Master Mechanic franchise meeting, our Cambridge location won the Customer Loyalty Award for the 5th year in a row. We truly couldn’t have done it without our loyal and dedicated customers who continue to use our services every year. It means so much to us to see that many of you have continued to come to us for 5, 10, even 20 years to continue servicing your vehicle. We pride ourselves on the incredible relationships we have with our customers, who continue to come back each year and trust us to get the job done. As a thank you, we’re giving away five $50 gas cards! Next time you’re at our Cambridge location, put your name in for a chance to win! We will be messaging the winner May 1st, 2018.